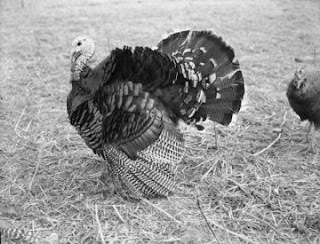 Arthur M. Vinje... Turkey Fanning His Tail (November, 1947). "...A turkey fans his tail at the Frank Lyons Turkey Farm." Happy Thanksgiving from gmtPlus9(-15). 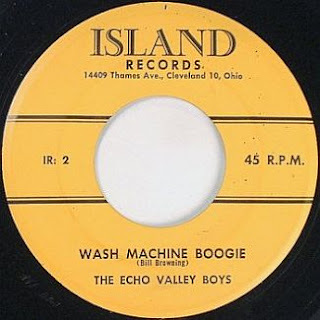 The Echo Valley Boys... Wash Machine Boogie (1957, Island IR:1/2 .mp3 audio 02:22). Tom Corbett, Space Cadet - The Runaway Rocket (Flash Video 28:52) Air Date: May 22, 1954. Lens Culture... Liminal Portraits - photographs and text by Laura Sackett. "...Liminal Portraits, chronicles my investigation into the teenage world of social networks and iChatting. Adolescence is a particularly transitional time in life, a time when teens are experimenting with and forming their identity. And with today’s wired kids, they have the opportunity to create virtual identities – every time they log on to a computer. By creating remote images with teens using iChat on multiple computers, my project explores a new form of portraiture, one that crosses social networking technology with the project of photographic portraiture to investigate this new form of the virtual self, which, like my adolescent subject, is liminal – and constantly changing." More... Works by Laura Sackett at her personal site. Mercedes Helnwein: East Of Eden at Merry Karnowsky Gallery in Los Angeles, CA. "...Known for her obsession with pencil and paper, Helnwein’s drawings are shockingly detailed, almost photographic at first glance, and vary from rich, saturated colors to her trademark black pencil. Perhaps more importantly, her work is known for the unusual balance of humor and suspense; the small, impeccably lit dramas play out on the paper as eerie mysteries begging for clues." More... Works by Mercedes Helnwein at her personal site. Ed Wicklander: Recent Sculpture at Greg Kucera Gallery in Seattle, WA. "...Seattle artist Edward Wicklander's recent body of work showcases the artist's ability as a woodcarver as well as his unique brand of humorous narrative. His intricately carved surfaces reveal a deep reverence for materials, while his subject matter stimulates the imagination, as his eccentric storytelling eludes concrete meaning." Midnight Eye... Mishima: A Life In Four Chapters. "...Paul Schrader is not Japanese and has not been a Japanese resident except whilst making the film, even though his sister-in-law, Chieko Schrader, both wrote the Japanese dialogue and directed the acting on set. The nationality of the director, although important, and apparently a matter of life or death to some far-right groups, is not everything. Oshima's Merry Christmas, Mr. Lawrence is generally considered British, and Max, Mon Amour French, despite the Japanese nationality of the director. But the outstanding reason to disqualify Mishima is that it has never been exhibited in Japan, despite being made way back in 1985." Rolfe Horn: Shinjosui - Mind Like Water at Scott Nichols Gallery in San Francisco, CA. "...This exhibition is the culmination of his fall 2008 trip to Japan and focuses on serene, calm, more meditative landscapes. The photographs all contain an element of water, from the fluid filled rice fields, to the raging waterfalls, to water flowing through the stalks of the bamboo. Horn makes images you can get lost in: quietly spectacular evocations - not just visual records-of their subjects. 'There is a certain point in time," he says, "where the harmony of light, atmosphere, and spirit collide, a place in the cosmos where the rhythm of nature unfolds in front of the camera. This can only happen once.'" Paper Rad - Five Videos (2004-2006) at UbuWeb Film & Video. "...PAPER RAD is a Pittsburgh, PA/Northampton, MA collective that has bubbled under the elastic waistline of the world's slacks for over a decade, tickling its privates and filling its diapers. This collective first started churning out cortex hemorrhaging lysergia comics and moved on to bands, videos, snack foods and installations. Past videos for the band for bands have included LIGHTNING BOLT (on LIGHTNING BOLT's POWER OF SALAD LOAD 041) and the PICK A WINNER video compilation (LOAD 050). Think of this group showing up to the 80's dance party with tazers and ketamine, and you waking up at the bottom of the ball tank at CHUCK E. CHEESE." Lesa Aldridge... Story Of My Life (.mp3 audio 02:06). VU cover from the album It Came From Memphis (1995, Upstart Records 022). 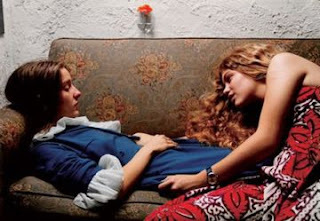 The Photograph is Untitled: Two Girls On The Sofa (Karen Chatham and Lesa Aldridge, 1974, Memphis) by William Eggleston. Metamorphosis Victorianus: Modern Collage, Victorian Engravings & Nostalgia at Ubu Gallery in New York, NY. "...Max Ernst (1891-1976), with such work as his shocking and seminal illustrated collage-novel, La Femme 100 têtes (1929), influenced an entire wave of artists who looked towards the Surrealist and his use of 19th Century engravings as a point of departure within their own work in this medium. The first generation of artists were Ernst's contemporaries, who worked primarily in the 1930s with significant connection to the Surrealists: Joseph Cornell (1903-1972), Jindřich Štyrský (1899-1942), Otto Hofmann (1907-1994), Franz Roh (1890-1965), Max Bucaille (1906-1992), and Gerome Kamrowski (1914-2004). Those a generation later, including Ray Johnson (1927-1995), Bruce Conner (1933-2008), and Jess (1923-2004), each separately rediscovered Ernst, specifically choosing to use this type of collage as a jumping off point towards other conceptual ends." New web site for Gabrielle de Montmollin - one of our favourite photographers. She's working in colour now. Jessie Mae Hemphill... Honey Bee (.mp3 audio 04:58). From the album Get Right Blues (2004, Inside Sounds ISC-051). Peter Turnley - 20th Anniversary: The Fall of the Iron Curtain (Digital Journalist, November 2009). "...One of the most moving and gratifying aspects of covering the years preceding the Fall of the Berlin Wall in Eastern Europe, and then being present during the roller coaster ride of the revolutions in Berlin, Prague and Bucharest in the late fall and early winter of 1989, was a shared camaraderie with so many talented, caring, and courageous photographers that were both friends and often at once competitors, with whom I shared not only mutual respect, but also a collective sense of being incredibly lucky to be alive and present at such monumental moments of historic geopolitical change." Happy birthday to my son Jamie - 14 years old today. Egon Schiele As Printmaker: A Loan Exhibition Celebrating the 70th Anniversary of the Galerie St. Etienne in New York, NY. "...Although widely recognized as one of the greatest draughtsmen of the modern era, Egon Schiele is often underrated as a printmaker. Granted, he produced only seventeen prints (as compared with more than two thousand unique works on paper), but these lithographs, linocuts, woodcuts and etchings evidence the same graphic intensity seen in the better-known drawings and watercolors. Schiele’s prints not only reflect artistic concerns he was pursuing contemporaneously in other mediums, but, clustered in the years 1912, 1914, 1916 and 1918, the graphics closely track his overall development. A comprehensive reassessment of this neglected aspect of the artist’s oeuvre is thus long overdue." Bauhaus 1919–1933: Workshops for Modernity at MoMA. "...Founded in 1919 and shut down by the Nazis in 1933, the Bauhaus brought together artists, architects, and designers in an extraordinary conversation about the nature of art in the age of technology. Aiming to rethink the very form of modern life, the Bauhaus became the site of a dazzling array of experiments in the visual arts that have profoundly shaped our visual world today. The exhibition gathers over four hundred works that reflect the broad range of the school’s productions, including industrial design, furniture, architecture, graphics, photography, textiles, ceramics, theater design, painting, and sculpture, many of which have never before been exhibited in the United States. It includes not only works by the school’s famous faculty and best-known students—including Anni Albers, Josef Albers, Herbert Bayer, Marianne Brandt, Marcel Breuer, Lyonel Feininger, Walter Gropius, Vasily Kandinsky, Paul Klee, László Moholy-Nagy, Lucia Moholy, Lilly Reich, Oskar Schlemmer, and Gunta Stölzl—but also a broad range of works by innovative but less well-known students, suggesting the collective nature of ideas." 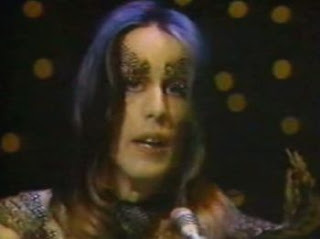 Todd Rundgren... Couldn't I Just Tell You (.mp3 audio 03:29). From the album Something / Anything? (1972, Bearsville 2 BX 2066). Greatness: Andy Warhol Polaroids of Sports Champions at Danziger Projects. "...In 1977, Richard Weisman, an art collector and a friend of Warhol's, commissioned a series of paintings of ten great sports figures of the era, now known as the "Athlete Series". The group of athletes was selected by Mr. Weisman, and included stars of a variety of sports: Muhammad Ali (boxing), Pelé (soccer), Dorothy Hamill (figure skating), Tom Seaver (baseball), Jack Nicklaus (golf), O.J. Simpson (football), Chris Evert (tennis), Willie Shoemaker (horse racing), Rod Gilbert (ice hockey, NY Rangers), and Kareem Abdul-Jabbar (basketball). Four additional sports portraits taken later are also included in the show – Ron Duguay, John McEnroe (with then-wife Tatum O'Neill), Vitas Gerulaitis, and Wayne Gretzky." C.J. Pyle: Kilroy's Delight at Carl Hammer Gallery in Chicago, Il. "...I had never seen anything like my woven-knot technique before I developed it, so there was no inspiration for it, really. I just loved the act of drawing and had been drawing consistently since about age 12. I guess if you do something that much over the years you might discover something, and I think that I did. the rock clubs, where I played from the mid-seventies into the early nineties. As a traveling musician, there'd be down time because of sound checks, breaks, traveling, etc. and I would while away the time perfecting the weave." Salvador Dalí - Je Suis Fou De Dalí! Salvador Dalí - Je Suis Fou De Dalí! (1975) at UbuWeb Sound. "...A year after the release of his Cathar audiovisual opera-poem Etre Dieu, with music composed by Igor Wakhevitch, Salvador Dalí released Je Suis Fou de Dalí, a collection of well-chosen excerpts from an interview with three French journalists: François Deguelt, Jean-Pierre Mottier and Simon Wajntrob. If truth be told, most of it is pure joke and self-promotion, and the difference is tenuous at times between surrealism and senility. But if we set aside the many scatological jokes, some excerpts are simply mindblowing, genuine audio equivalents of a Dalí Surrealist painting." Images of the Ho-Chunk on Exhibit at the WHS. "...The latest exhibit at the Wisconsin Historical Museum examines nearly 150 years of the Ho-Chunk people as documented through the lenses of three photographers. This exhibit, Images of the Ho-Chunk, features 1860s photographs by James F. Bodtker, turn-of-the-20th-century images by Charles Van Schaick, and recent images by Ho-Chunk photographer Tom Jones. Bodtker and Van Schaick were non-natives, documenting Ho-Chunk people who came to their studios to have their portraits taken. Tom Jones is a member of the Ho-Chunk Nation and uses his images to help educate non-natives about the lives of his people. Ho-Chunk jewelry, ribbonwork and other objects from museum's collections complement the images."